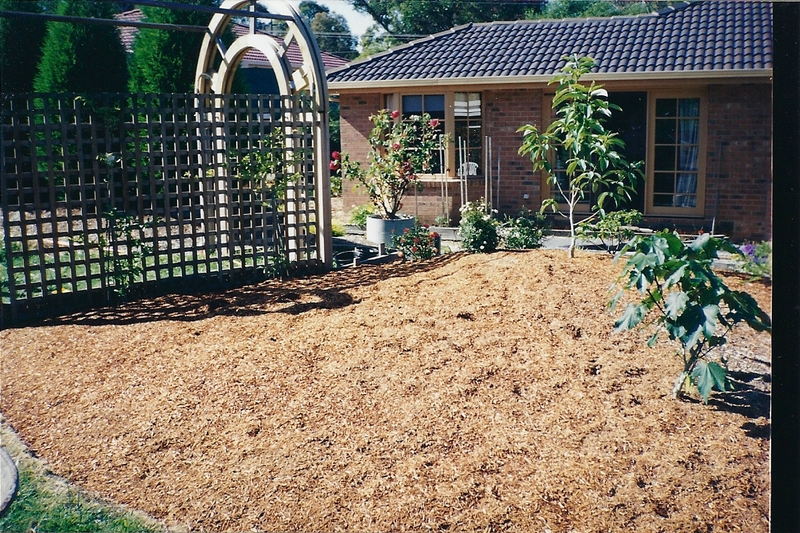 As with serial planting, a recurring theme or two can help unify your landscaping and decorating into a complete unit. 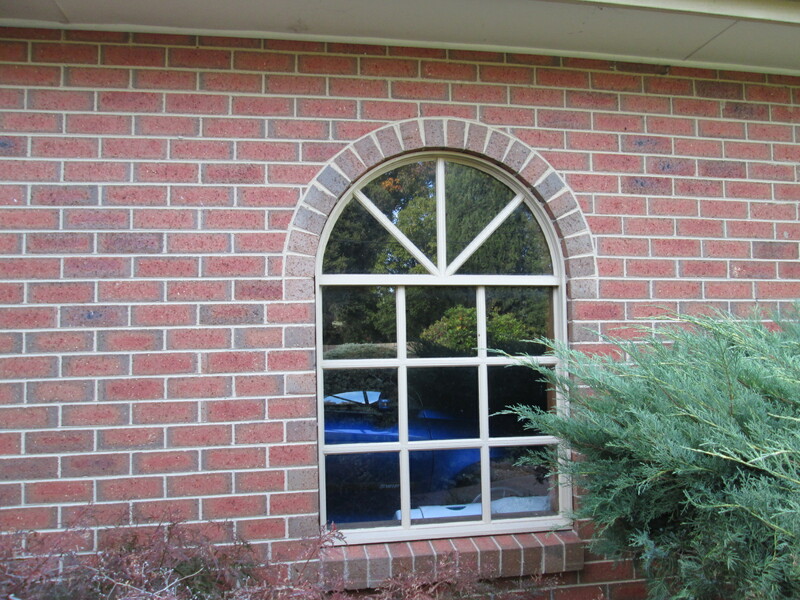 My fondness for arches is evident in my garden. 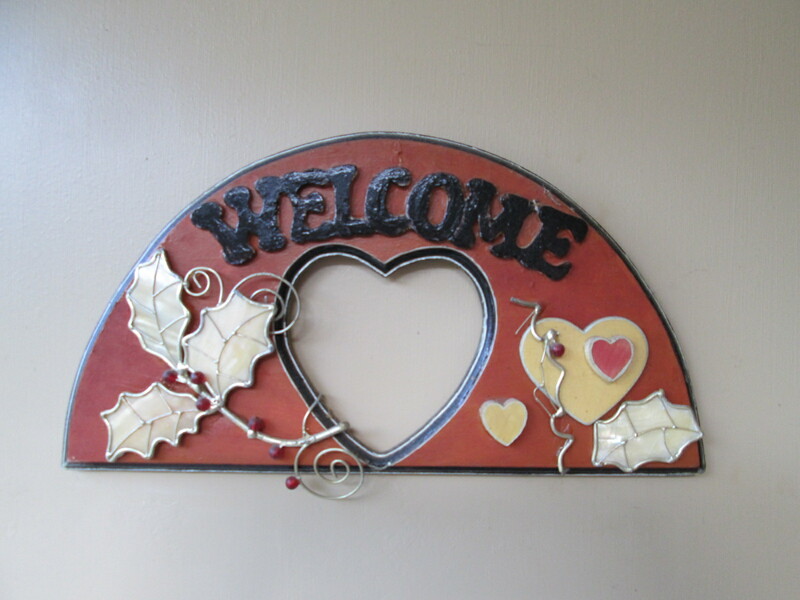 Starting with the front door and welcome sign, through to the back yard with a variety of arches, the theme continues. 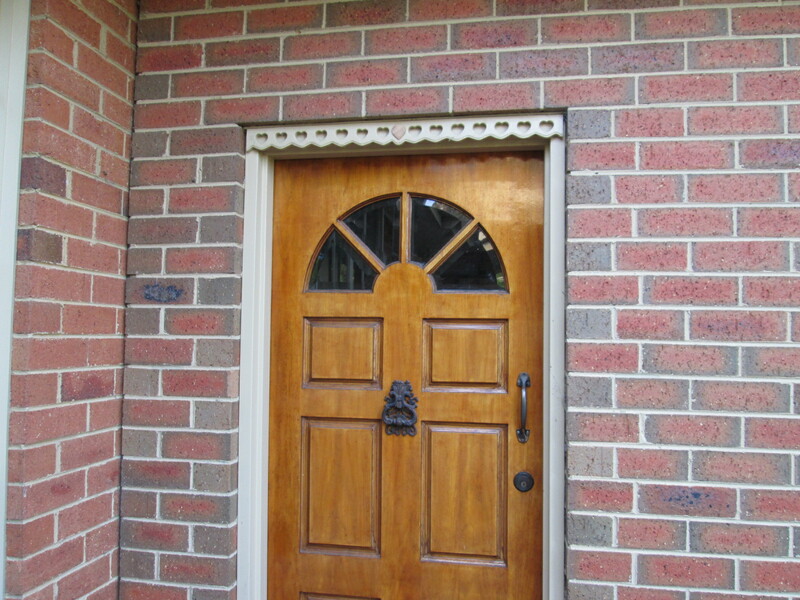 The garage has two arches, in the form of both the window and the side door. 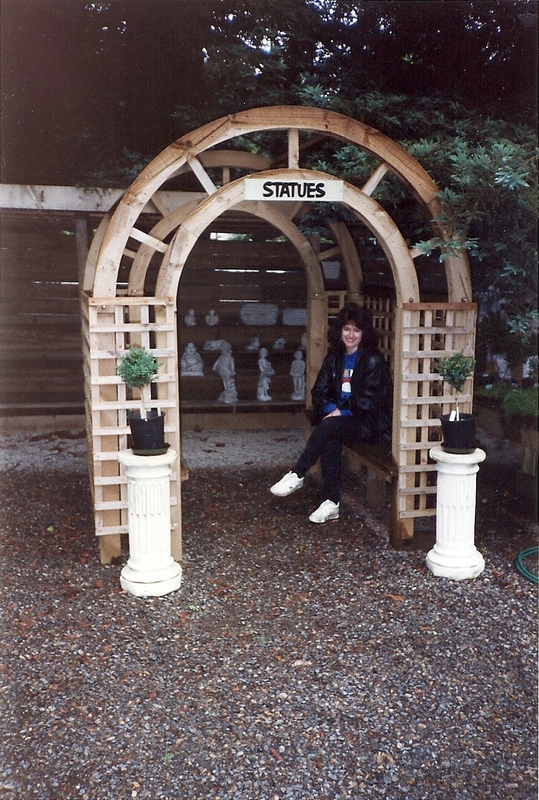 The patio features a number of arches, with a cane unit, fence and table decorations. 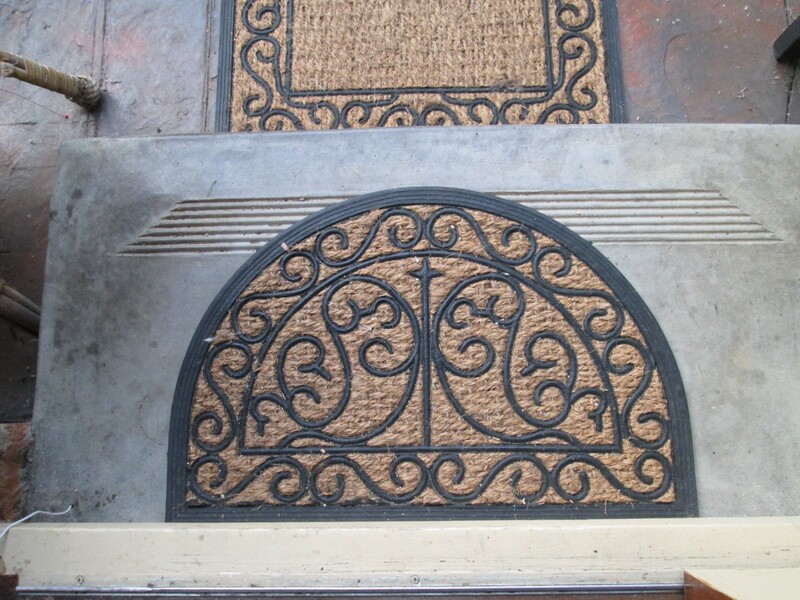 Even the doormat is arched. 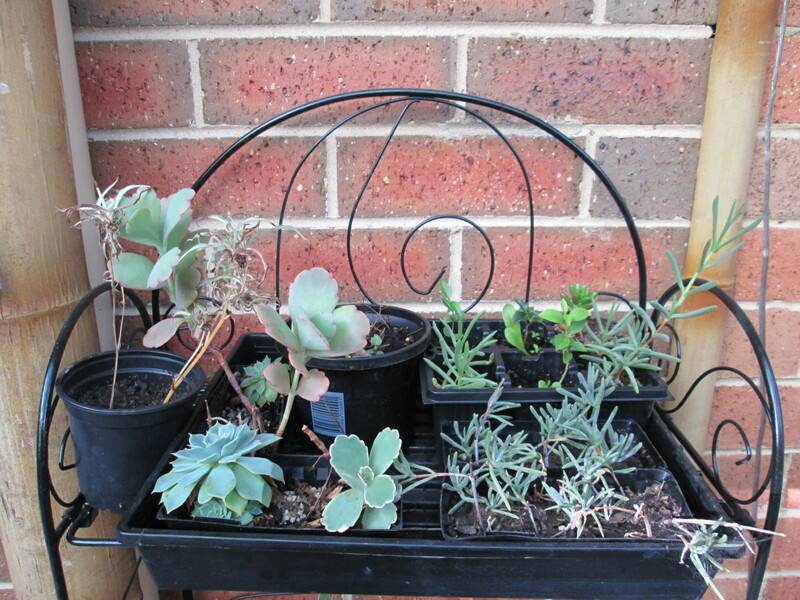 My little propagating area is decorative and functional. 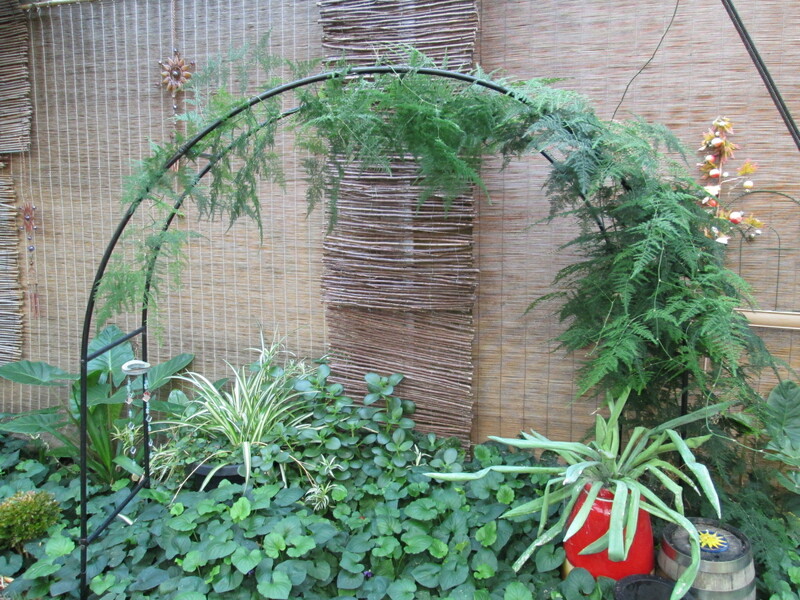 I think my favourite is the arch over which I have trained asparagus fern. 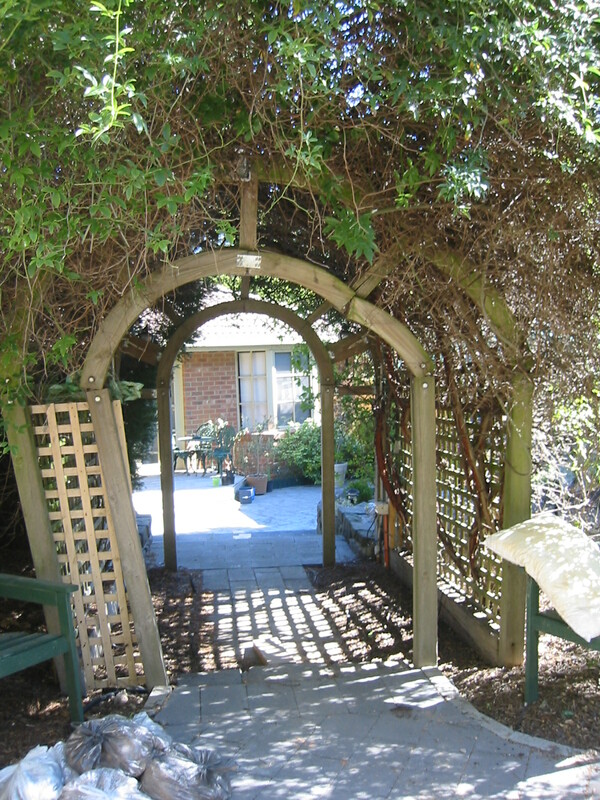 Then, past the patio and pergola area another arch leads to the rest of the back yard. 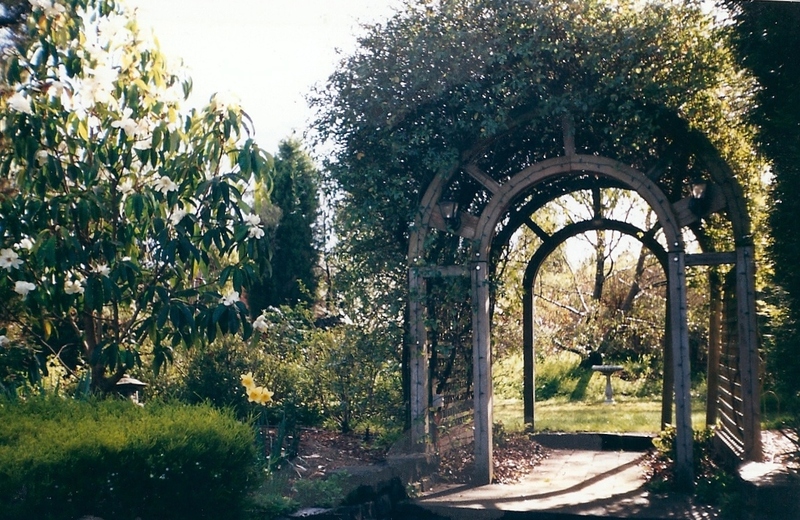 The original arch in our yard was probably the rose arbour, which set off this continuing love of arches. And, knowing me, it’s not over yet! 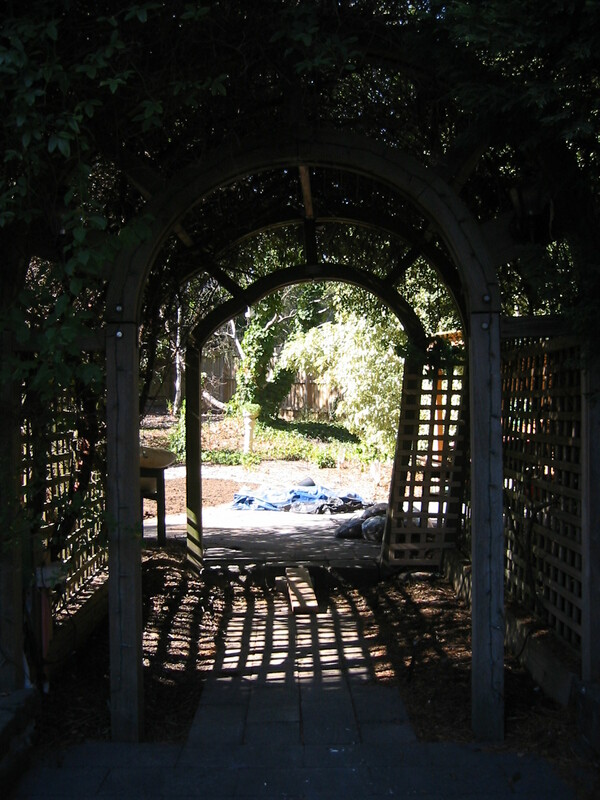 This entailed expanding the paver path out to the width of the now single-arched rose arbour, removing the sleepers, and edging it in beautiful bluestones. 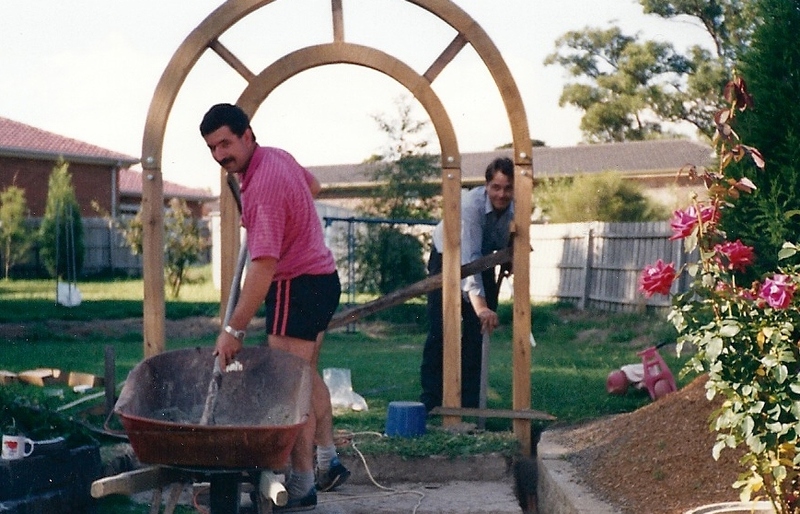 Back in the 90’s, prior to the construction of the bluestone-edged steps, we had planted out the upper bluestone bed. 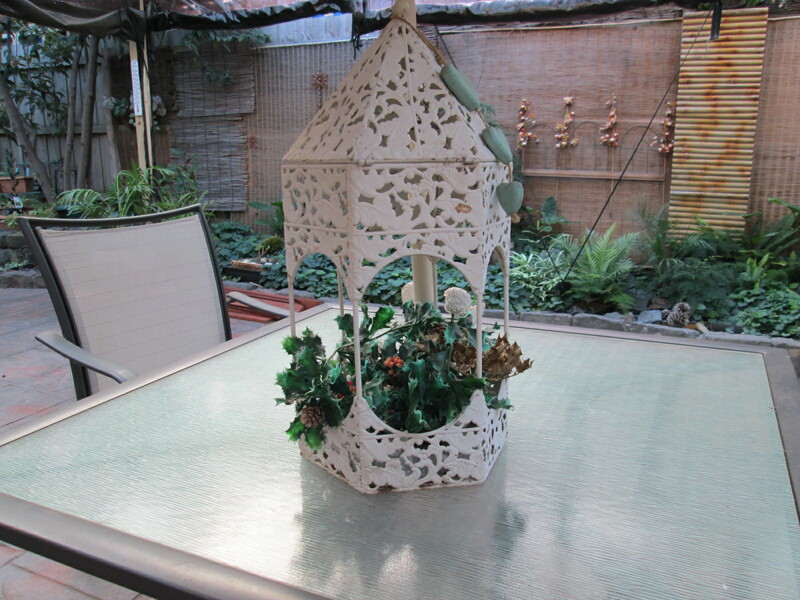 They say Rome wasn’t built in a day, and in our garden this is very much the rule. 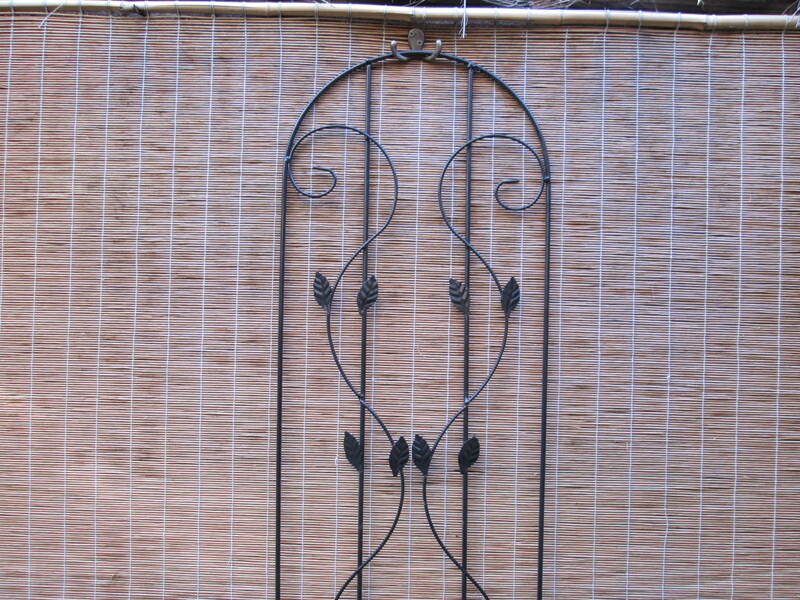 In this case the whole procedure took months to complete, tackling one segment at a time. 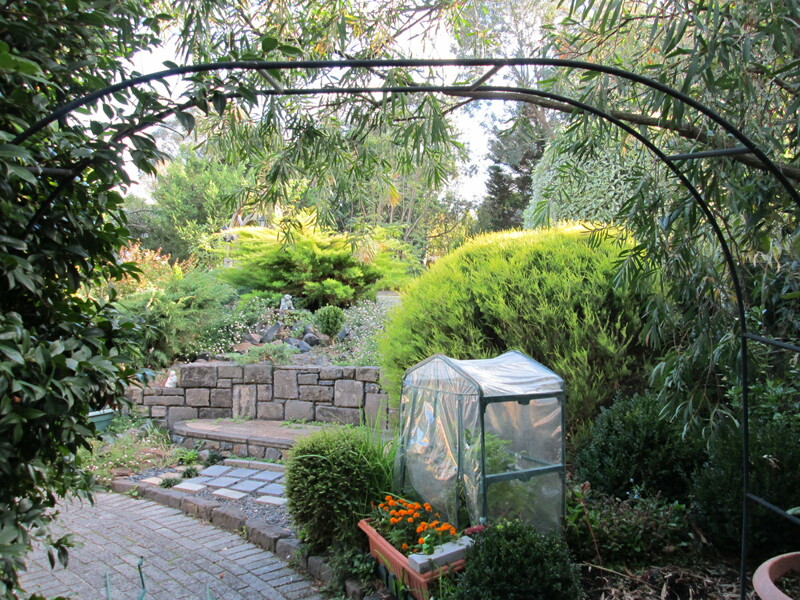 Later, with the addition of some beautiful, bright marigolds, this section of the garden was complete. On any list of things to do, as soon as one thing is completed, another item or two suddenly appears on the bottom of said list. Ironic, isn’t it? 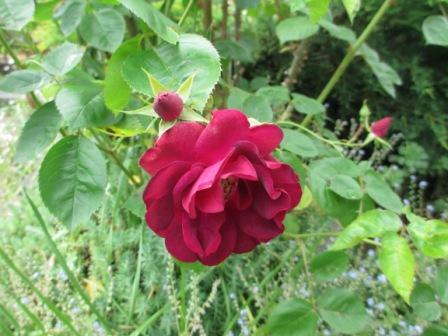 The rose arbour was becoming a problem. At the rear end it was leaning to one side due to the weight of the overgrown climbing rose, and it was too high and too late to try and start pruning the rose, as we didn’t have a ladder high enough. 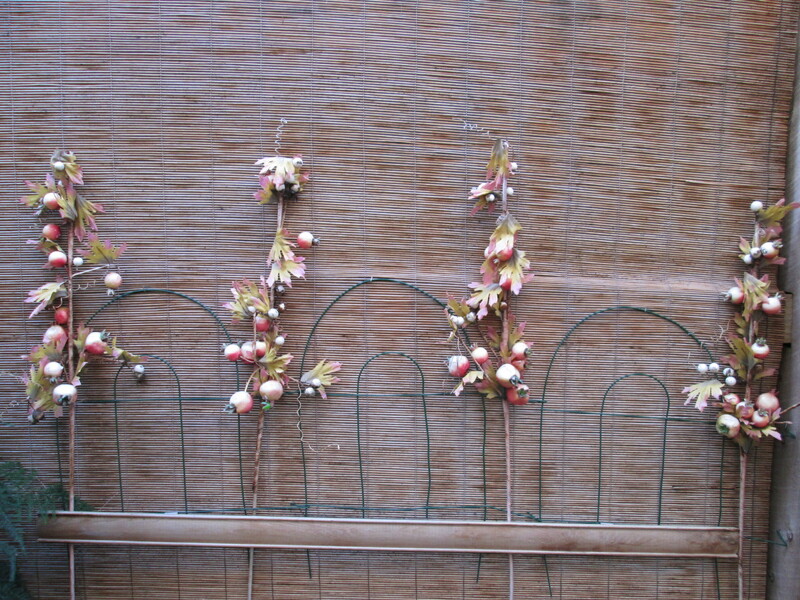 Then, if we did actually prune it, we still had the wonky posts to consider. 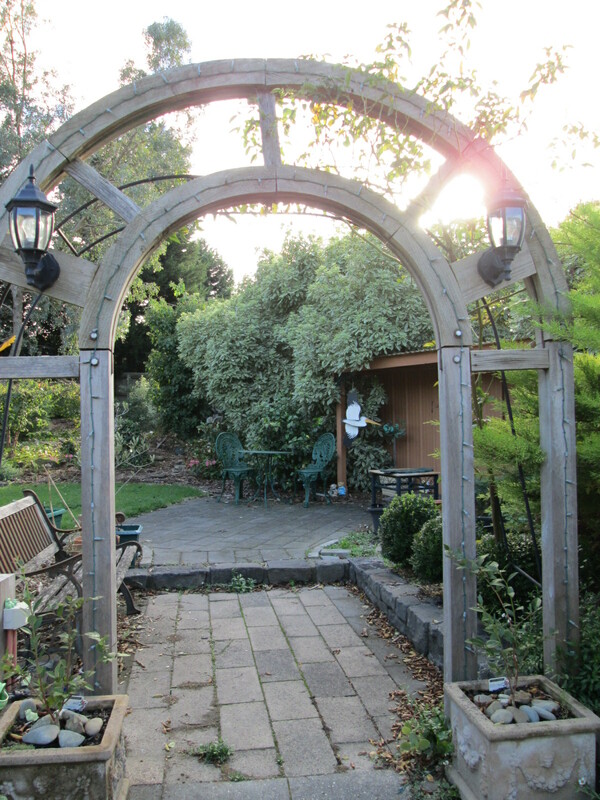 Decision made, we compromised and got rid of the back and sides of the rose arbour, leaving the front arch only, which always reminds me a little of the Stargate. Wish we could use it to travel to other planets! 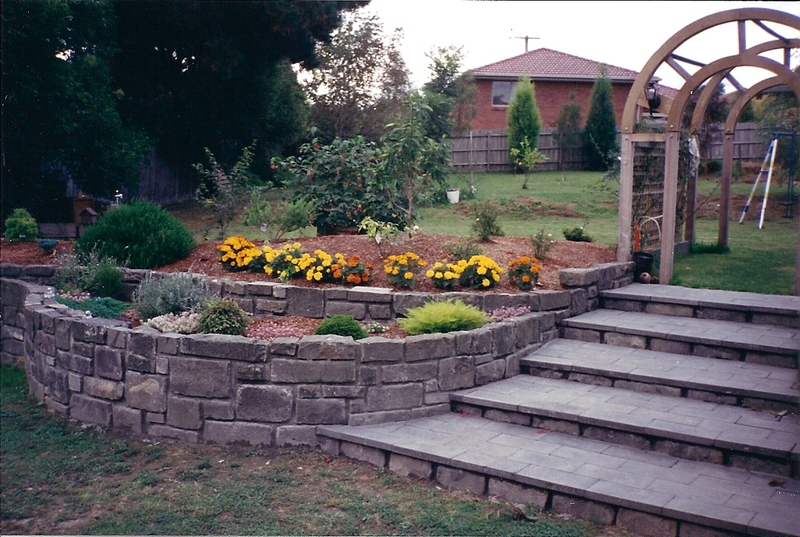 Back in 1999 I took a photo of the garden in the back yard between the bottom tier and the middle tier. 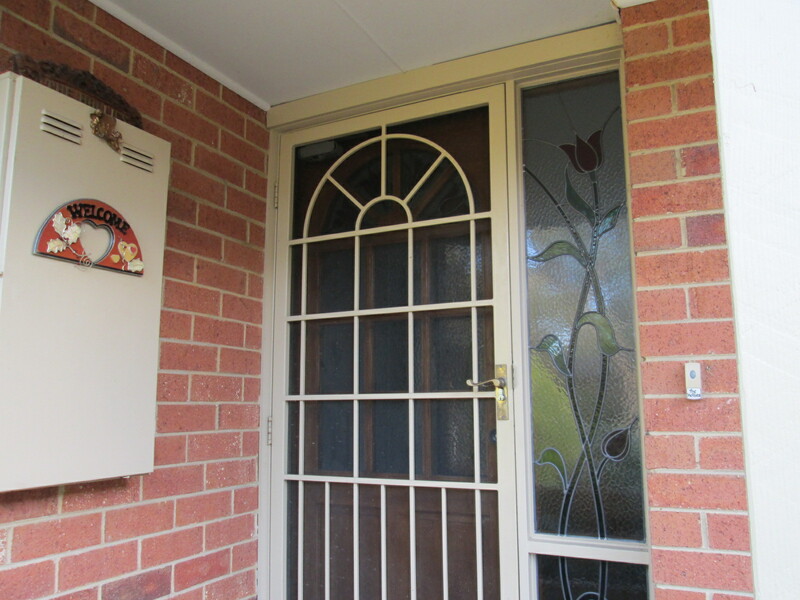 We had a feature tree, Michaela Doltsopa, which was an Australian native similar to a magnolia. 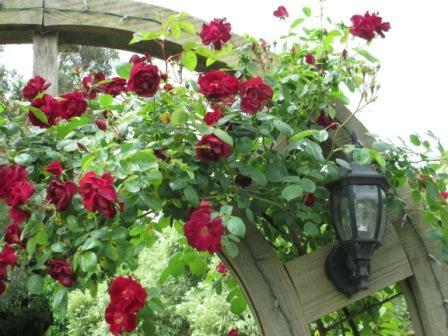 The rose arbour was a great idea, but we should have kept it pruned sufficiently. I guess it added to the semi-jungle effect. 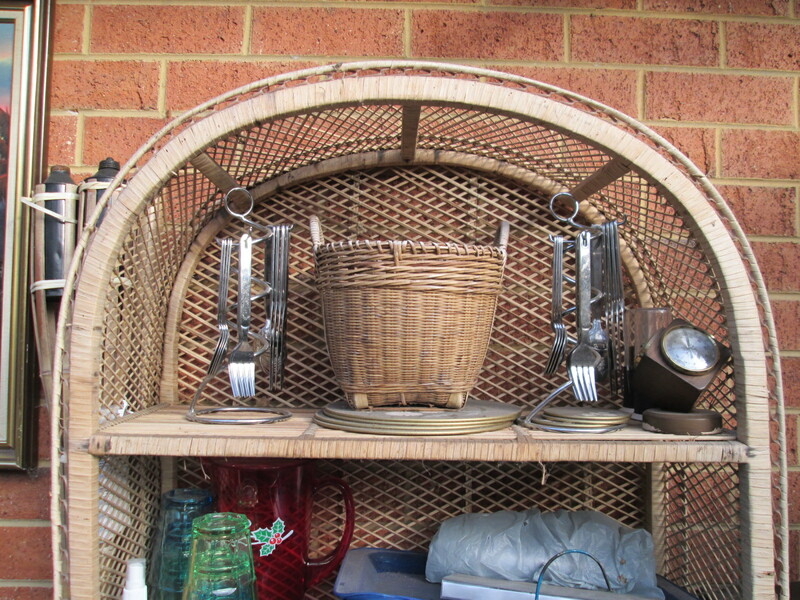 In those days I certainly didn’t spend the same amount of time in the garden as I can and do now.